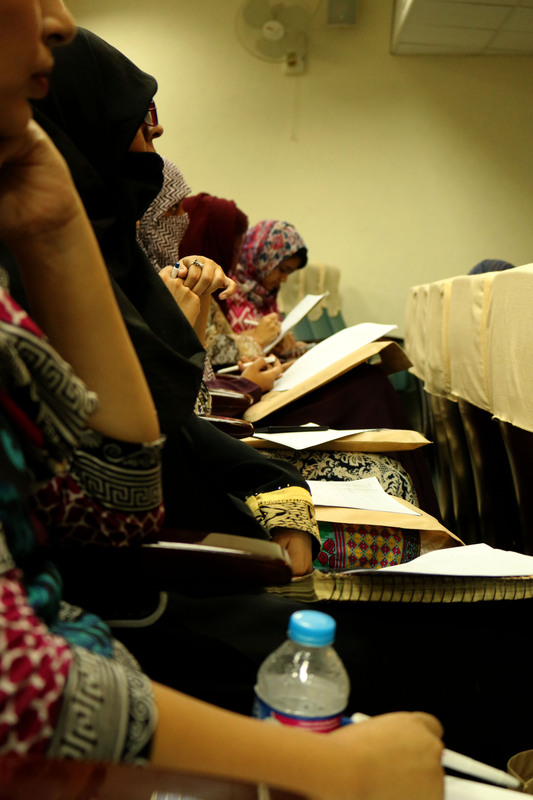 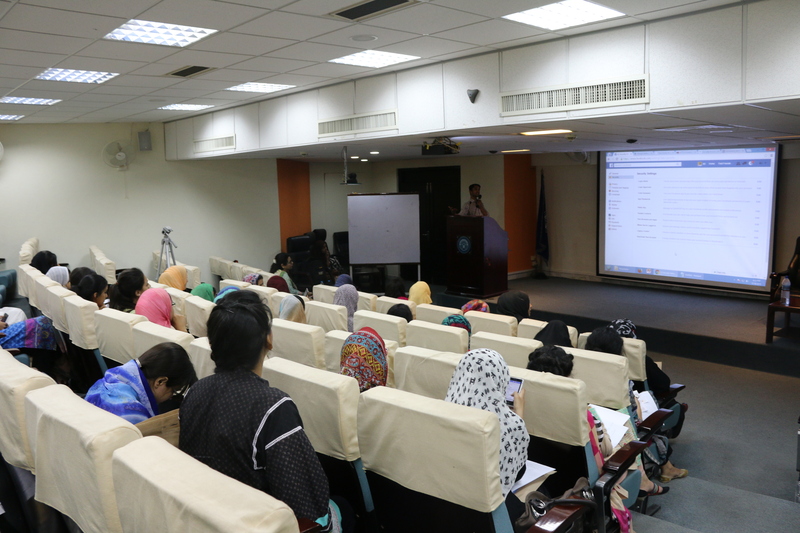 Hamara Internet visited National University of Sciences and Technology (NUST) to initiate a dialogue with the women and girls about cyber harassment and how to reclaim online spaces on the 18th of May this year. 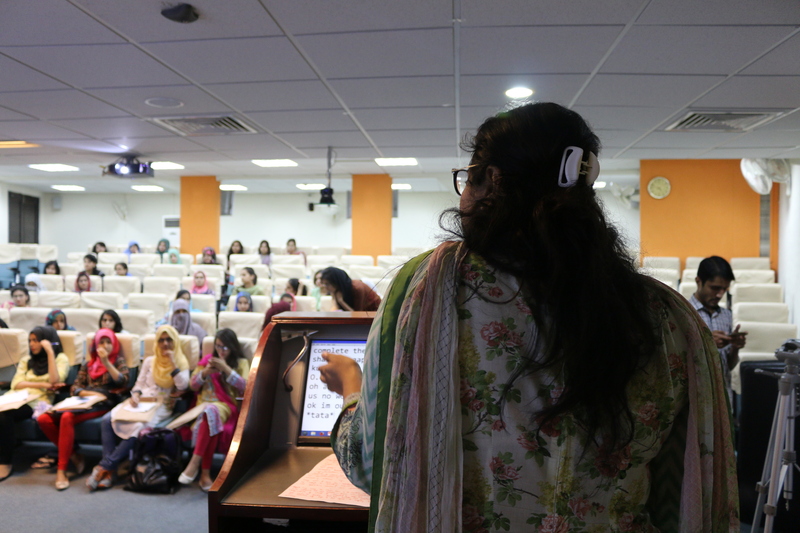 During this workshop we extensively spoke to the audience about the importance of having ‘digitally hygenic habits’. 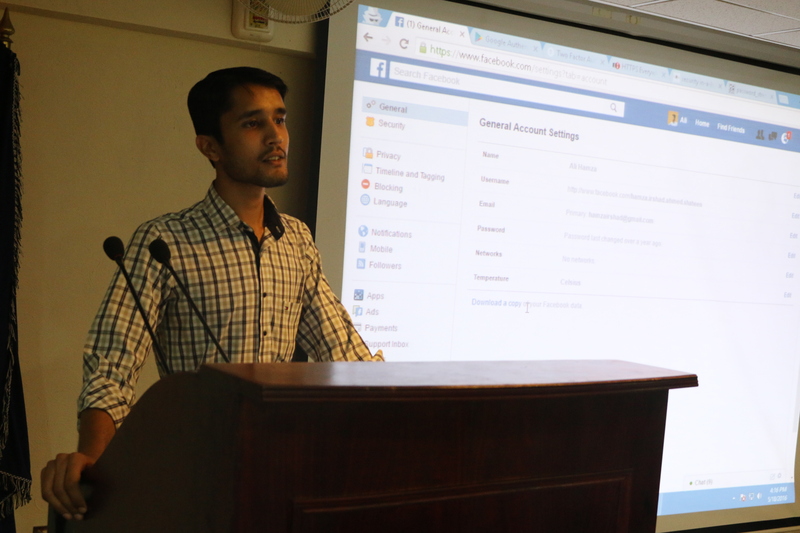 Our team members also shared their personal experience with cyber-harassment and how it made each of them stronger by learning how to protect themselves, instead of quitting out of fear. 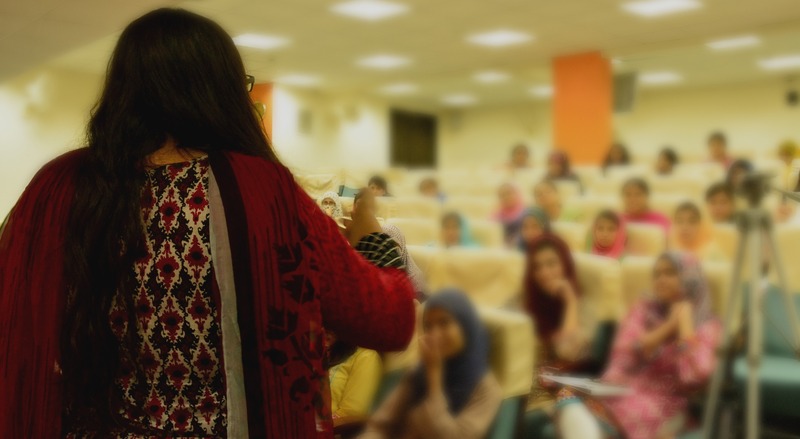 Our guest speaker was Tooba Syed – a political activist who has been working for equal rights & safe public spaces for women, advocating for the housing rights of workers and campaigned against illegal evictions. 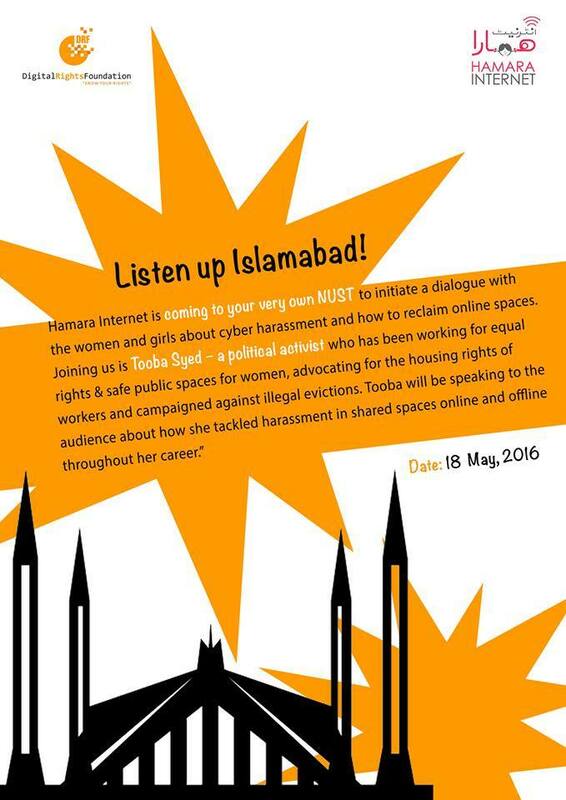 Tooba Syed spoke about what her experiences were being an activist and having a presence on social media, she also highlighted how very often the patriarchal practices that have been around for centuries are translated online into invasive trolls.